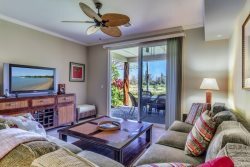 Whether you are planning your next paradise vacation to the Kohala Coast, or you are looking for a professional team to help manage your Big Island rental property, the expert staff at ResorticaHawaii.com are ready to answer any questions you have. You can find answers to the most frequently asked questions on our FAQ’s page. For all other inquiries, please fill out the form below or email our team at [email protected]. We look forward to assisting you! We are eager to provide the service you desire. Please let us know what questions or interests you may have and we will be in contact with you as soon as we are available.